SPRINGFIELD, Mo. — Legal experts and CCW Course Instructors break down Missouri’s laws regarding open carry and concealed-carry. For many years, Missouri has been an open carry state for firearms. In January 2017, the state greatly expanded its gun rights with the enactment of a bill that allows people to carry firearms either openly or concealed. Criminal Defense Attorney Adam Woody walks through the basics of concealed carry laws. “People can carry concealed weapons upon their person as long as they are legally allowed to own and possess firearms. It does not take any type of permit to do that,” Woody says. Those freedoms don’t just stop with handguns. “Rifles and other guns other than handguns are all included under this more expansive gun ownership right. That is now a person’s right to have those even concealed within their vehicles,” Woody says. While carrying rights are fairly loose in Missouri, there are a few things that you need to be wary of if you are going to exercise those rights. “You can not — unless it’s in the act of self-defense or the defense of others — exhibit the firearm in any sort of angry or threatening manner,” Woody says. Doing so would be the Class D felony of unlawful use of a weapon. It’s also wise to keep in mind where you can’t take your firearm, such as churches, law enforcement buildings, and schools. So you may be wondering, if you no longer need a permit to conceal a weapon, what is the benefit to getting that permit? One place you can get that training at The Sound of Freedom out in Ozark, but Owner A.G. Paul says they have seen a drop in number for people who decide to with the passage of Missouri’s conceal carry law. “We’ve slowed down on how many concealed carry classes we give since they’ve passed it because a lot of people have decided they are just going to concealed carry in the state of Missouri without a permit because they can legally now,” Paul says. If you are going to carry a firearm, you are expected to know the law where ever you are. Laws can vary by city or county, but Paul says having your CCW Permit gives you more freedom on where you and how you can carry it. “If you have a conceal carry permit and you’re in certain districts that don’t allow open carry. As long as you have a conceal carry you can open carry,” Paul says. By Missouri statutes, the CCW course is eight hours long. Don Motley has been a certified CCW course instructor for several years, and he spends time with students going over firearm basics. “We’ll break it down by basic safety, operation of firearms whether it be here, in the field, at the home, or if you’re carrying it in your daily activity,” Motley explains. Six hours will be spent in the classroom, it is required that you spend an amount of time out on the firing range doing your firearms test for the other two hours. “You have to hit 15 out of 20 (rounds) on the target,” Motley says. Once you complete the course, Motley says it is wise to carry your permit card with you at all times, especially if you are carrying a firearm out of state. “It will allow you to carry 34 states, but you have to know the law of each state that you travel through. 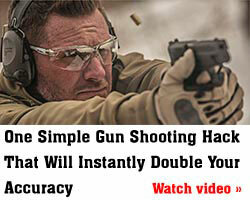 So, it gives you 34 out of the 50 that you can carry concealed,” Motley explains. No matter which side of the gun control debate you are on, Adam Woody reminds us that responsible gun ownership is knowing your rights, and making safety a priority.